the use of facilities outside the opening hours and without the presence of monitors is strictly prohibited. access is not permitted under the influence of alcohol or drugs. It is not allowed access to pets. It is not allowed to touch, maul, or take plants or animals. It is not allowed to write or carve trunks and leaves. It is not allowed to leave the roads without the accompaniment of monitors or without the express indication thereof. Please help us, make use of the bins enclosure and control the use of water in the toilets. bathing is prohibited in the pond. All Public and Private is strictly forbidden to smoke and / or fire. It is forbidden to play with balls, Frisbies, snowshoes or any other game or sport whose development is not included in the planned activities. The amount of damage to the environment and / or facilities will be reclaimed to the cause. The company will not be responsible for loss or damage to personal effects whose custody has not taken the reception. Selva Asturiana reserves the right to refuse admission. Selva Asturiana has liability insurance and accident insurance. Personal data provided by customers will be treated according to the Organic Law 15/1999, of 13 December, Protection of Personal Data. The purpose for collecting them is for identification, so that by signing accept that they have read and have been informed of our activities and the risks that can lead to non-compliance with the instructions provided. Likewise, they may be used for statistical purposes and also for information about our activities, if you do not state otherwise. Participants will be photographed and recorded during performance of the activity if not expressly stated otherwise. You can exercise the right of access, rectification and deletion of personal data, to be used only by Selva Asturiana and in no case be transferred to third parties or manipulated or altered for any purpose. 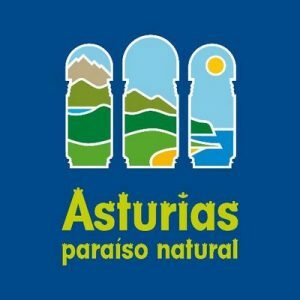 Selva Asturiana reserves the right to expel any user who does not meet the standards set. In the event that a minor show a behavior that impedes the development of the activity and do not address the indications of the monitors will be expelled and their guardians be notified (primarily through the public address system and then through the phone) to be picked up as soon as possible in order not to hinder the development of the activity.